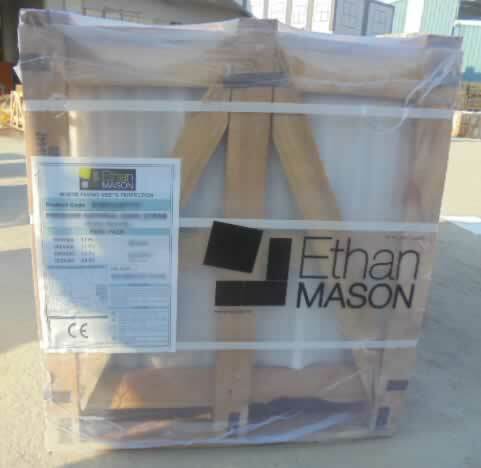 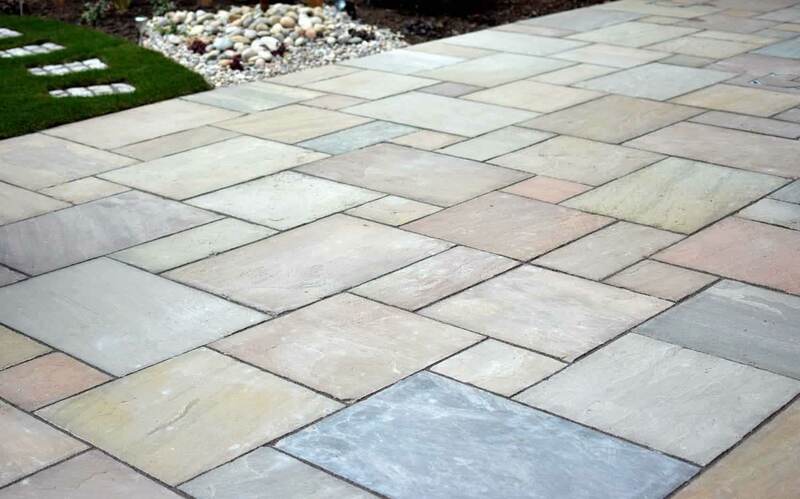 The most popular choice of sandstone in the EM riven range. 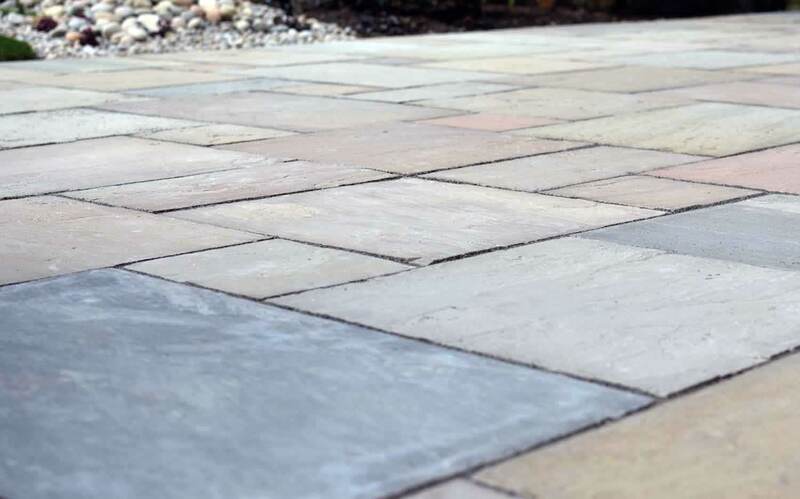 The EM Raj brings beautiful autumnal colours in one pack. 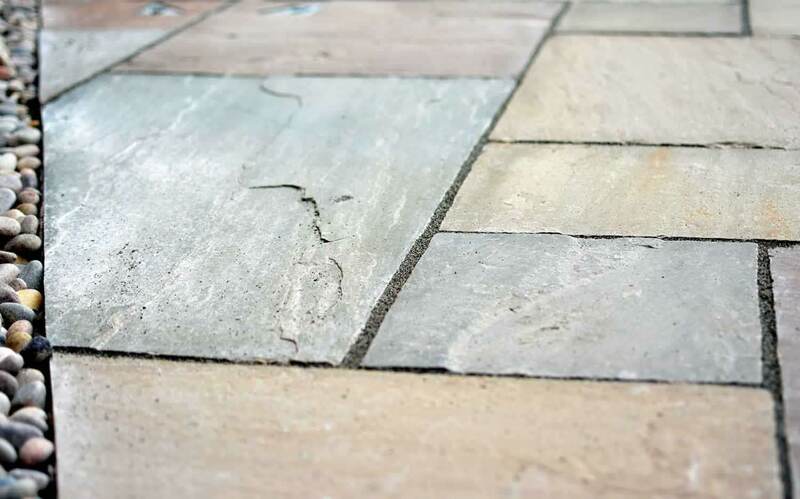 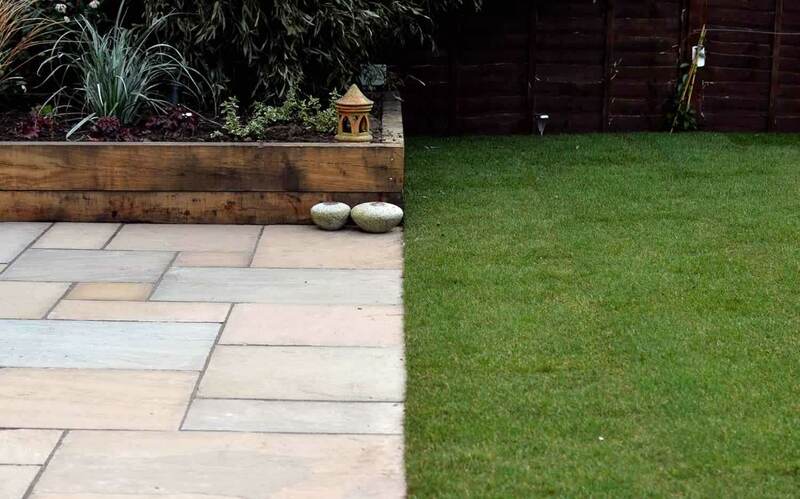 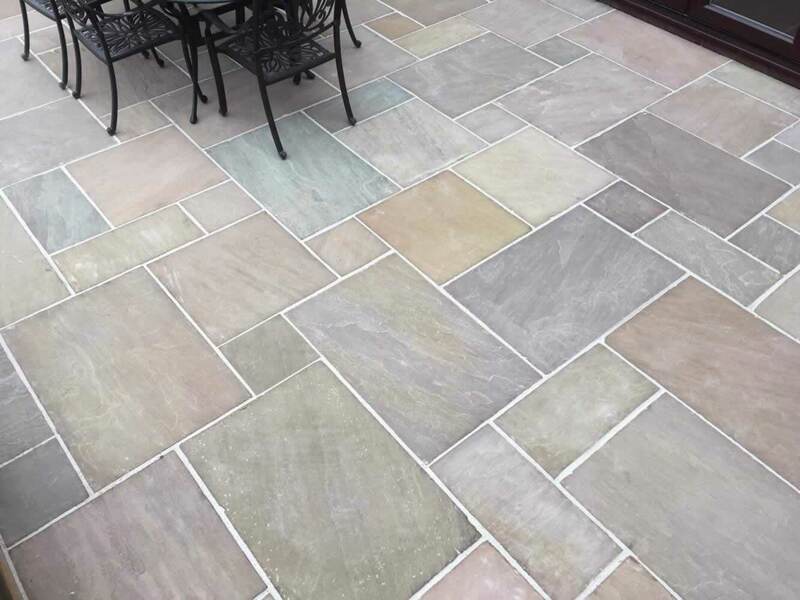 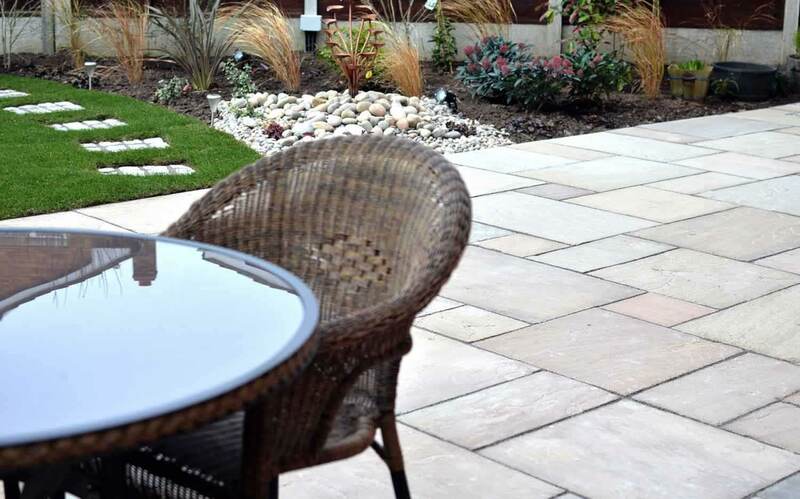 The seasonal mix of pink, green, beige, brown and cream paving slabs are stunning in the dry, but when wet this beautiful blend of colours are enhanced and enrich any garden space. 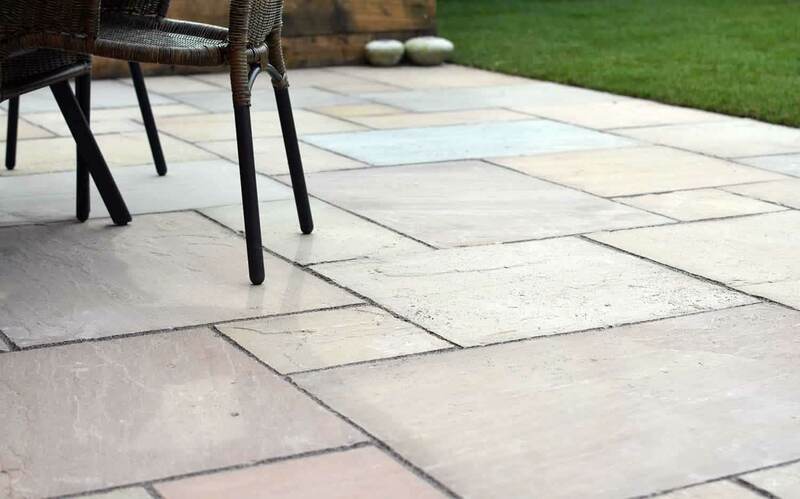 This riven paving has a textured riven surface, which means that it has its own unique veining and pattern variations. 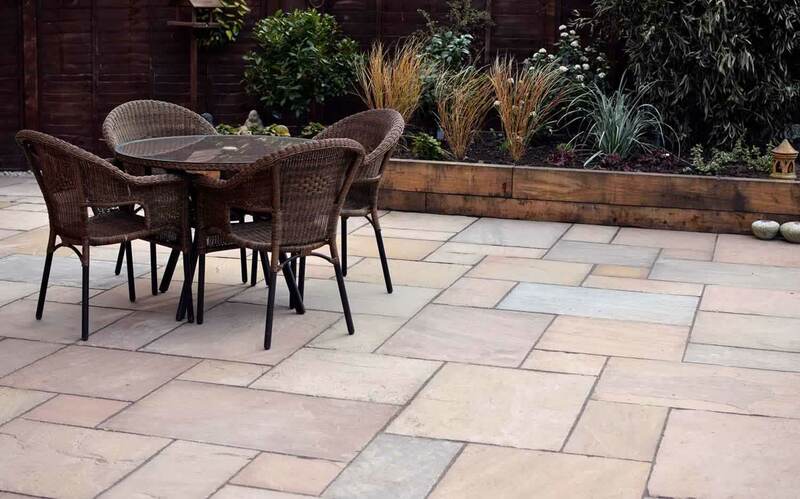 EM Raj is versatile and fits all gardens to create a lovely traditional look.